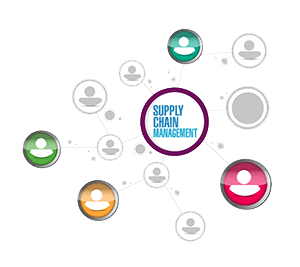 Supply chain management is a broadened management focus that considers the combined impact of all the companies involved in the production of goods and services, from suppliers to manufacturers to wholesalers to retailers to final consumers and beyond to disposal and recycling. This approach to managing production and logistics networks assumes all companies involved in the process of delivering goods to consumers are part of a network, pipeline, or supply chain. It encompasses everything required to satisfy customers and includes determining which products they will buy, how to produce them, and how to deliver them. The supply chain philosophy ensures that customers receive the right products at the right time at an acceptable price and at the desired location. How Supply Chain Software Solutions are taking Supply Chain Forward? Increasing competition, complexity, and geographical scope in the business world have led to this broadened scope and continuing improvements in the capabilities of the personal computer have made the optimization of supply chain performance possible. Even, new advanced software for supply chain management has revolutionized communication and data exchange, facilitating the necessary flow of information between the companies in the supply chain. Therefore, it has been experienced that the companies that use supply chain management software have seen a significant cost and cycle time reductions. Also, they have experienced increases in inventory turns, decreases in out-of-stock occurrences, and a replenishment cycle that has moved from weeks to days to hours. These software for supply chain management have an integrated suite of collaborative supply chain optimization features and advanced retail planning solutions that help small, medium and large companies to realize substantial bottom-line results in record time. They give you proven best-of-breed capabilities to streamline your global supply chain operations, right from planning and forecasting to sourcing and production and transportation management. They offer you the set of right tools with flexibility and supply chain visibility you need to achieve a competitive advantage. A fundamental premise of supply chain management software is to view and keep a track of the network of facilities, processes, and people that procure raw materials, transform them into products, and ultimately distribute them to the customer as an integrated chain, rather than a group of separate, but somewhat interrelated tasks. The importance of this integration cannot be overstated because the links of the chain are the key to achieving the goal. Every company has a supply chain, but not every company manages their supply chain for strategic advantage. Anyone who has ever worked in a retail sector easily understands the journey from raw material to finished product, which can be long and oftentimes fraught with peril. Supply chain management problems can be as innocuous as a handful of products being damaged during shipping, to as major as a hurricane swallowing up a supplier’s operations. You have likely heard of the need to automate your retail operations countless times, but you are still searching for some innovative supply chain management solutions to support your retail process. So, this is the high to select an online solution to cater your needs as automation of retail process is becoming vital day by day. Nowadays consumers demand effortless experience to research products, place orders online, pick-up or return purchases at the nearest local retail outlet. Therefore, to deliver such an ultimate user-experience you should focus on rapid replenishment of goods and implement the inventory management software systems that can help keep the supply chain absolutely seamless. If you want to manage retail supply chain seamlessly then it is crucial to ensure that every information stays interconnected and is easily accessible by all necessary stakeholders to maintain the transparency and smoothness in the supply chain. To maintain supply chain effectively and efficiently it is necessary to keep your inventory updated. Maintain a proper stock on shelf because studies reveal that consumers tend to shift if they do not find what they are searching for. Now you know the essential strategies for better retail supply chain management, but what strategies are you following currently to ensure the proper management? Share your experiences in the comments below. HOW TO RUN SUPPLY CHAIN OPERATIONS SMOOTHLY? Softbiz Solutions September 2, 2016 No Comments on HOW TO RUN SUPPLY CHAIN OPERATIONS SMOOTHLY? With the retail market booming, retailers across the nation put on their thinking caps to make the best of the opportunities at hand. Supply chain management, also coined as SCM plays an integral role in the entire process. We took a trip down this retail road to see the latest in the views on supply chain management, the changes that should be implemented, the fast changing trends of the consumer, and the improvisations to keep retail on an all-time high. To deliver goods at their desired destination in a swift way, retailers need to know where things are at all times so they can redirect shipments, rebalance inventories and respond to new demands on the fly. But, if there is a problem with their supply chain, and they can’t get products to stores or consumers then they may risk losing customers. So what steps can, and should, retailers take to make sure their supply chain operations are running smoothly? Following are four suggestions from retail supply chain experts. Using automated inventory management software is necessary that can track and manage inventory in real time because due to uncertain consumer behavior and long, complex supply chain processes retailers always struggle to balance inventory efficiently. Thus, align supply with demand effortlessly an advanced solution is required to maintain an effective supply chain network that tracks inventory and demand changes, and allows retailers to respond to the latest demand signals in near-real time. To improve supply chain management from the moment product leaves the manufacturer’s warehouse all the way through to the point-of-purchase, retailers should deploy an order management solution. With an increased awareness of the volume and location of merchandise available across all channels, this order management software ensures smooth supply chain operations at all levels to take better business decisions. Be a part of B2B e-procurement network, which helps companies to predict supply chain disruptions and act quickly to adapt business processes. Using a B2B procurement network can help retailers to move from responding to risk to proactively predicting it to create advantage and get ahead of supply chain disruption. Make sure your marketing and supply chain teams are in sync, which is crucial to successfully launch a promotion. The supply chain team can determine how much product is needed to prevent falling short and how the product will be shipped minimizing, or avoiding, delays or disruptions. Every organization that is engaged in production, sale or trading of products holds inventory in one or the other form. While production and manufacturing organizations hold raw material inventories, finished goods and spare parts inventories, trading companies might hold only finished goods inventories depending upon the business model. Inventory is a necessary evil that every organization would have to maintain for various purposes. Optimum inventory management is the goal of every inventory planner. Over inventory or under inventory both cause financial impact and health of the business as well as effect business opportunities. Therefore, inventory planning and control are necessary functions that business owners usually perform relating to inventory management. Business owners pay close attention to inventory as it usually represents the second largest expense in their businesses. Inventory planning includes creating forecasts to determine how much inventory should be on hand to meet consumer demand. Inventory control is the process by which managers count and maintain inventory items in the business. Why Inventory Management is Necessary? Better Cash Flow- Inventory planning and control can help companies manage cash flow. Small businesses do not have large capital balances for purchasing copious amounts of inventory. Business owners implement policies and procedures to limit the amount of money spent on inventory. Cash flow improvements also come from purchasing the lowest cost inventory available in the business environment. Not only does low-cost inventory save the company money, but it also allows companies to develop a cost advantage in the economic market. Higher Profits- Business owners can use inventory planning and control to generate higher profits. Purchasing the right type of inventory to meet consumer demand often leads to higher business profits. Companies who sell through their entire inventory multiple times each year also increases business profits. Inventory planning and control procedures can also limit the amount of obsolete inventory in the company. Limits Abuse- Inventory policies and procedures prevent employee abuse of inventory. Loose work environments can allow employees to steal inventory items for personal use. Stolen inventory results in a financial loss for the company. Employees can also use a company’s inventory items in the workplace for personal reasons. Previously used inventory may be unsellable depending on the company’s operating industry. Proper employee behavior is a significant factor relating to inventory cash flow and profitability. Business owners should consider implementing business technology and inventory management system to help manage inventory. Technology usually helps business owners spend less time on inventory planning and control functions. Even, inventory management software provides business owners online methods to order, receive, manage and sell inventory. Spending less time on these back office functions allows business owners to remain at the forefront of business sales in increasing their company’s profitability. The supply chain is a system of organizations, people, activities, information, and resources involved in the planning, moving, or storage of a product or service from supplier to customer. The management of this entire chain becomes a challenge when you do not have the right management tools. One of the best tools for this management is the application of the advanced technology or modern supply chain management software to accelerate your efficiency. Technology has driven a new wave of productivity by digitizing all the business processes and enabling collaboration across the organization. Now every business is becoming a digital business as technology is disrupting traditional operations. The impact on supply chain management is particularly great and businesses cannot unlock the full potential of digital without reinventing their supply chain strategy. This is why many companies who understand the value of these changes are already working to introduce digital technology into their operations as these software are really helpful in managing many business issues. How these software solve the issues? Make a connect- These supply chain management software system are capable of connecting wholesalers and retailers. They fill the gaps and bring transparency in the entire process. They reduce the complexities and make the process easier and error-free. Place and manage orders- These software also help to manage inventory online; here you can easily send and receive orders online without any hassle at anytime using the online portal. Also, you do not have to limit your order placement into a particular timeline as orders are queued if the system is offline. Process payments- For sending or receiving your payments, now you do not have to rely on any other mode as these modern supply chain software possess inbuilt functionality that supports payment processing options. Minimize operations cost- Using this software, the management becomes so easier that it minimizes the cost of the operations and maximizes the outcome of your process. Nowadays implementing the supply chain management solution is becoming integral regardless the size and type of the business because they save your overall cost, time and manpower. Moreover, they enable the swift and trouble-free data management. So, when are you planning to implement such supply chain management software for smooth business operations? HOW TO SPEED UP YOUR ORDER MANAGEMENT? 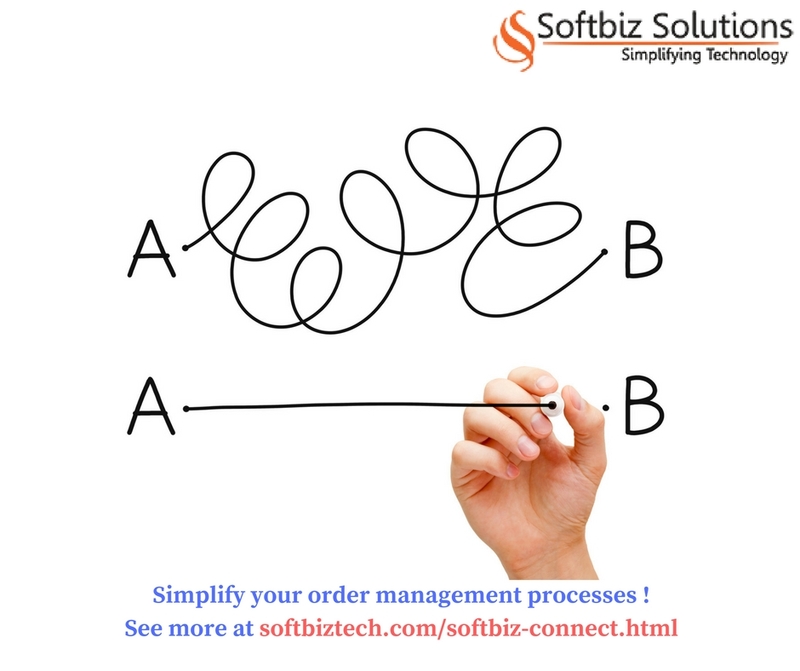 Softbiz Solutions July 20, 2016 No Comments on HOW TO SPEED UP YOUR ORDER MANAGEMENT? Wholesalers receive hundreds of orders on daily basis, but fulfilling each and every order in time seems to be a daunting task which requires constant monitoring, effective management and efficient handling of inventory. Therefore, to speed up the entire order management process, you need to have a logical procedure that you can take to make a big impact. If you don’t want to put much efforts then buy online order management software and also look at some of the “quick wins” that don’t require a massive investment, but will make a quick difference, such as classifying your inventory and ensuring that it is stored as logically as possible. Apart from this, also make sure that you are making the most of the systems you already have in place. For instance, many companies have the pieces in place that are needed to improve their order management processes, but are unable to get the most from these systems. However, one of the best choices is to make investments in automated order management systems to speed up your order handling times. What else you can do to accelerate your process? Inventory classification to ensure rapid handling: Grouping your inventory from fastest moving to slowest moving helps to ensure that you always have the right stock levels on your most important items. Put the most popular items in a centrally located area of your warehouse to ensure that they can be picked, packed and delivered to the shipping dock in a minimal amount of time. Slower moving items can be stored in a separate area. This more logical arrangement can really cut down on the time it takes to process and fulfill orders. Integrate systems for more visibility: In order to quickly fulfill an order, you need visibility into several areas such as demand forecasting, sales, inventory, and logistics. At a minimum, this requires some level of integration between the sales order management system where the order is placed, and the other system that maintains the inventory and logistics data to handle the processes for picking, packing and shipping. 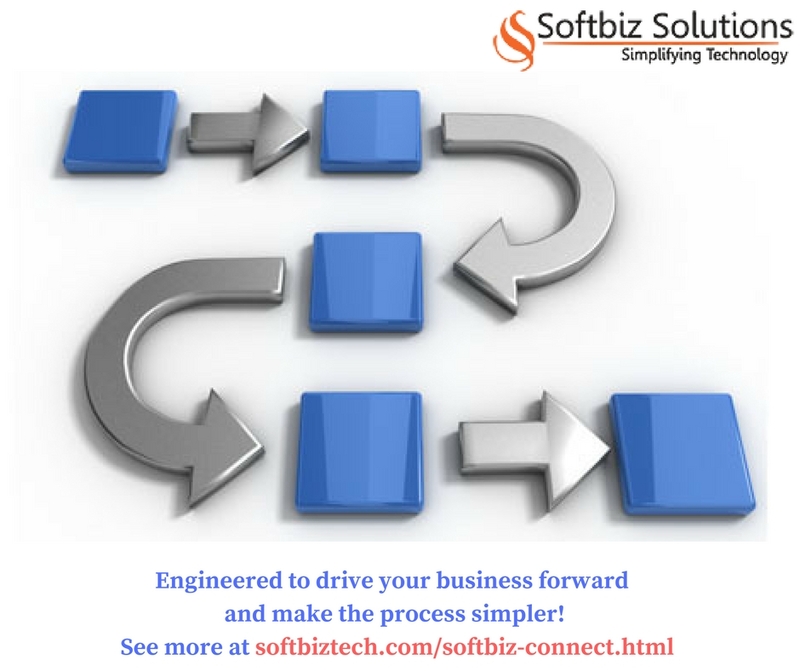 Automate your processes: After your systems are able to provide more visibility into all aspects of the process, you should also look at how the processes themselves can be made faster. Moreover, for smaller businesses, the investment doesn’t have to be huge. 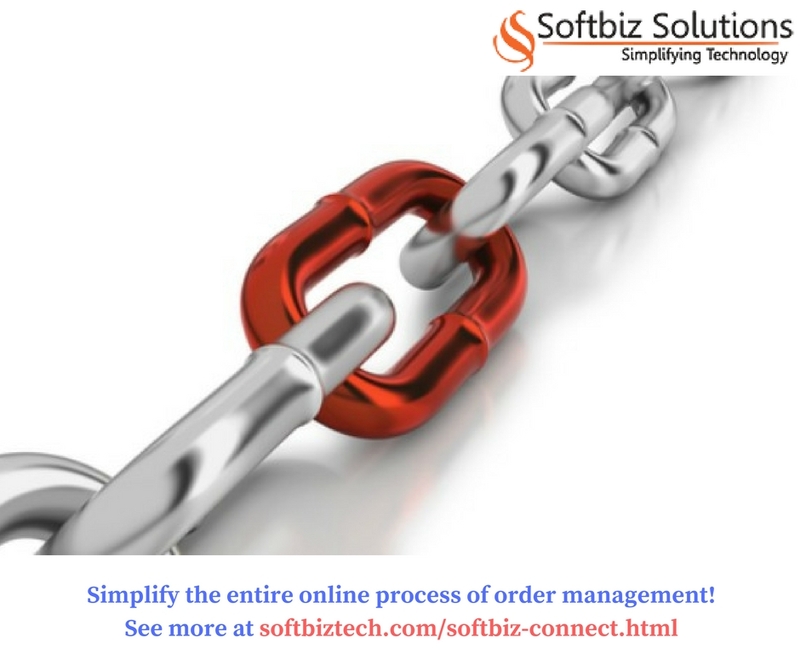 There are even order management solutions that can be automate your entire supply chain management process inexpensively. What are the challenges you face with your order fulfillment process, and what are you doing to help speed it up? WHY TO GO FOR SOFTBIZ CONNECT? Softbiz Solutions July 5, 2016 No Comments on WHY TO GO FOR SOFTBIZ CONNECT? 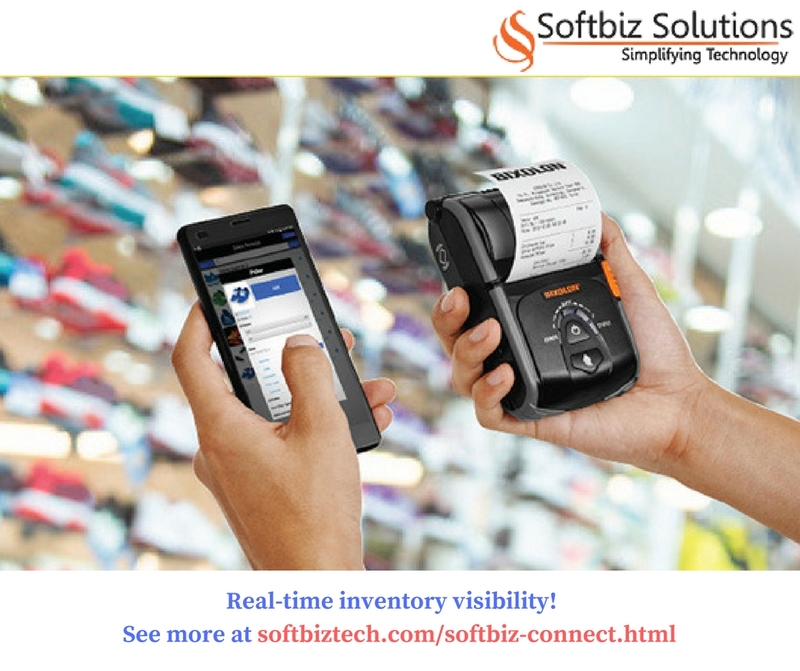 Softbiz Connect is an innovative software solution widely used by wholesale distribution companies to connect with their retailers and to keep a track of the goings-on in their warehouses and other departments. Whether you are just beginning to consider advanced management technologies for your business or are actively looking for an order management software solution connecting wholesalers and retailers, we will examine five of the main benefits of Softbiz Connect that can help your wholesale distribution business to run back office operations more smoothly. 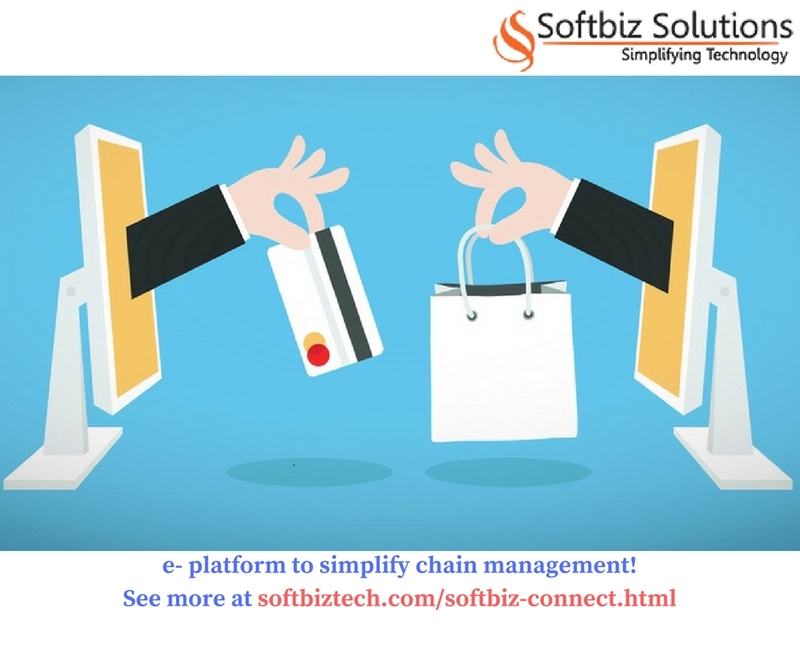 This e-business solution simplifies your overall supply chain management and also unlocks countless business opportunities as it allows you to share your inventory with retailers in real-time, reduce order management hassles, improve efficiency and make the processes simpler. Cost reduction- One of the leading software investment motivators for any business is cost reduction. By providing automation capabilities and broad visibility into your operations, this order management software system can help reduce administrative costs associated with manual processes while also providing other valuable insights into your business. Scalability- As your business grows, you need a robust solution that grows with it and Softbiz Connect is easily scalable. As your business changes, new functionality can be added to manage new processes and departments. Leaner supply chain- As mentioned earlier, Softbiz Connect helps you reduce costs and this is in part by creating a leaner supply chain. Having the right order management system in place can help improve procurement, inventory, and demand forecasting to make your supply chain leaner and more responsive. Increased visibility- Once implemented, Softbiz Connect allows you to check a relatively comprehensive view of your operations. Instead of segregating data into individual silos, this order and supply chain management software benefits wholesale distributors by creating a holistic environment that manages, collects, and distributes information across functional boundaries. So, what are you planning to do next to seamlessly manage your wholesale distribution business? You can even call us at 1800 270 1991 to avail free demonstration of this amazing software. SUPPLY CHAIN AND LOGISTICS: HOW DO THEY DIFFER? Softbiz Solutions June 22, 2016 No Comments on SUPPLY CHAIN AND LOGISTICS: HOW DO THEY DIFFER? Global business is becoming ever more reliant on logistics and supply chain management in order to keep pace with the demands of an increasingly global economy. This is why business leaders acknowledge that the logistics and supply chain can be value creators and source of competitive advantages. But, there are many people in the marketplace who use these two terms interchangeably. The confusion in distinguishing between supply chain and logistics might stem from the fact that logistics is considered by many people to be a subcategory of supply chain management. In the wholesale and retail market, many people quite often confuse the term logistics with supply chain. However, both the terms a quite different from one another; in general, logistics refers to the movement of goods between locations whereas supply chain is a broader topic that covers a variety of segments such as planning, management, capacity planning, strategic procurement, factory scheduling, logistics, etc. Generally, logistics focus on the actual transportation and storage of goods. It deals with things such as inbound and outbound freight, reverse shipping, communications during transit, storage and warehousing. Logistics also deals with the delivery of goods and freight, coordination among third-party carriers, fleet management and other activities directly related to the actual transportation of goods from one point to another. Depending on the needs of a particular company, logistics management might also encompass manufacture and packaging, price negotiation for different aspects of transportation, third-party integration and procurement, technology, communications and customer service. For the most part, the supply chain encompasses a bigger picture. Supply chain management is the umbrella that covers all aspects of the sourcing and procurement of goods. Basically, supply chain management forms and manages the business-to-business links that allow for the ultimate sale of goods to consumers. Logistics, basically getting the freight from one place to the other, is a function that falls under the wide umbrella of supply chain management, but is only one part of the entire process. Supply chain management is a broad, integrating process that entails many other aspects aside from logistics. Those aspects include finding and obtaining the goods to sell, negotiating pricing, manufacturing, storage, packaging and inventory control. Supply chain management also includes distribution, cost allocation and control, third-party negotiation and collaboration as well as management of supply and demand. It has been said that supply chain management is an addition over logistics management as well as supply chain management comprises of logistics. Both are inseparable, hence they do not contradict but supplement each other. Supply chain management helps logistics to be in touch with the transportation, storage and distribution team. Now and then every website needs a refresh. The good enough reasons for a website redesign can be re branding, shifting onto a new Content Management System (CMS), bringing the innovative look of the website back and many others. Your website redesigning is a long and tedious process, which can be a huge success – or it could fail terribly if you do not follow a certain pattern for the perfect redesigning process. So, here we are providing you a checklist that can help you to make your job a whole lot easier. Whether you are working with an agency or redesigning in-house, this checklist will save you from many headaches and will assist you in excellent redesigning. ANALYZE YOUR CURRENT METRICS- before you start working on anything else, do not forget to measure your current metrics. Start by analyzing your existing site including number of visitors, bounce rate, time a user stay on your site, current SEO rankings, your keywords domain authority, number of leads generated and much more. DETERMINE BUSINESS GOALS- If you are considering a redesign, there needs to be a good reason for it. Be really clear about why you’re doing the redesign in the first place and tie it to measureable results. Then communicate your goals with your team, designer or agency. ANALYZE BUSINESS CHANNELS- Evaluate the channels that drive your business and bring in the new leads. Your channels can be anything from social media to organic or paid searches, mobile visitors, etc. EVALUATE YOUR COMPETITION- While we don’t recommend obsessing over your competitors, but comparison with your competition and keeping the track of the rivals is necessary for healthy growth. After evaluation, you get to know where do you stand and how far you need to reach. IDENTIFY YOUR USP- Before you begin crafting your website’s design, content and business strategy, be clear about you Unique Selling Proposition (USP), so that it is consistent across your entire website. This step defines how the world communicates with your website. START DESIGNING AROUND PERSONAS- Your website is not just about you, it is about conveying yourself or your business to your targets, therefore, it is crucial to speak in their language by designing content around buyer personas. OPTIMIZE SITE- Getting found online is essential to improving the rest of your site metrics. 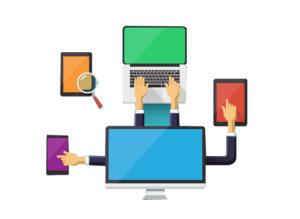 Thus, it is necessary to design and develop your website for search engines, so that you get the right opportunities to increase your website’s search rank. A successful website redesign starts with planning, it initiates even before the site is being designed. Often times, people get caught up in how the website looks and this focus overshadows how well it is working, therefore it is critical to combine everything in a right proportion. HOW TO MANAGE RISKS INVOLVED IN SUPPLY CHAINS? Softbiz Solutions June 7, 2016 No Comments on HOW TO MANAGE RISKS INVOLVED IN SUPPLY CHAINS? These days supply chains have become more intricate and interconnected than ever before, with many parallel physical and information flows, in order to ensure the delivery of the right product in the right quantities to the right place and at the right time. This network is growing swiftly involving many risk factors such as demand risks, supply risks, environmental risks, processing risk and many others. Being an efficient supply chain manager, you have to handle all these risks and business complexities so well that your business process works seamlessly. You cannot even afford to skip any risk because a single slip can cost you a lot and can have an adverse impact across the supply network. Map Supply Chain Network – Create a systematic structure of your entire supply chain network. Jot down their relationships, ownerships and every other detail that can help you in indentifying their network. Identify Every Risk Involved – After creating the structure; you have to evaluate the maximum possibilities of risks within that network. May be that risk is related to finance, strategy, logistics, operations, etc. Assess Risks – Once you have identified the possible risk factor, now you can move further to filter down the risks that are relevant to supply chain operations. Also, make a map of key risks based on the probability of occurrence. Manage Them Well – As you have completed your research work, now move on to the next step and start creating strategies for managing those risks. Try building business models that can reduce the chances of risks or try using supply chain management software that helps you in managing businesses efficiently reducing the risk factors. Implement Appropriate Actions – Now you have everything ready with you, so just go and implement those plans, strategies and software solutions for supply chain management at the high impact points to attain maximum benefits. Supply chain risks tend to paralyze your entire network; therefore, it is better to diminish them as early as possible.